Lyte (dot) Org: Only One Car? What an interesting and varied driving experience my life has presented to me. I’ve had the opportunity to drive on every kind of road surface you can imagine and in many types of vehicles, from cars to trucks to large commercial vehicles. I spend most of my time in New England where I live of course, but I also love to travel. Recently, I’ve been experiencing the roads in Utah. Utah has quite a varied collection of roads to spend one’s time on. 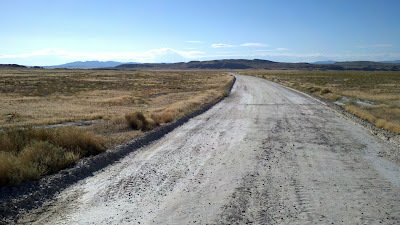 From long straight Interstates and technically challenging twisting paved roads to rough gravel and fairly complicated soft surface dirt roads. So, if I was only able to have one car (preparing for the day when the nanny state deems that people are only permitted one vehicle) what would I choose that could work everywhere and for all the types of driving I enjoy? My conundrum comes from the rougher dirt roads, though. If not for these the answer is really quite easy: a rally inspired car. Choose your model of street legal rally vehicle; Mitsubishi Lancer Evo, Subaru Impreza WRX, Ford Focus RS, or in my case, I’d go for one of the various all wheel drive BMWs. There are many other easy choices in this category too. 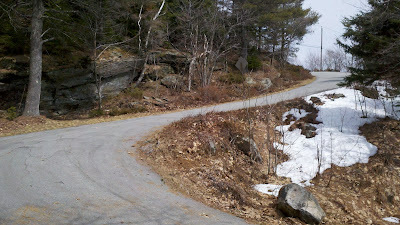 But then there are the rough dirt roads. 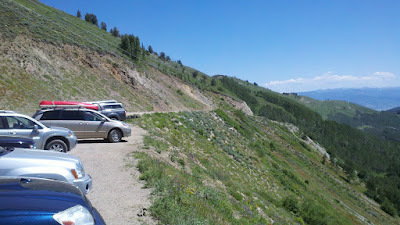 I took a road trip through the Wasatch Range of the Rocky Mountains just east of Salt Lake City and even though I tried to stay on pavement, I found myself stuck taking one mountain pass on a very bad dirt road. It would have been nothing to my Jeep but the midsize crossover/SUV I was driving was barely capable of handling the road. I can’t imagine a BMW 325 having much luck with that pass, frankly. So, let’s go up a size with the selection; at which point, we’re looking at the crossover/SUVs. Sure, there are the real Jeeps and Land Rovers of the world and they would be fantastic in the mountain passes and would likely still be my winter vehicle of choice, but they wouldn’t really benefit from the twisty and/or high speed roads. A crossover has the potential to satisfy both the straight line speed, the smoother dirt roads (at various speeds) and slow speeds on the rougher dirt roads. They can’t go offroading (definitely not), but they can handle a lot more in terms of rough roads and decent inclines than a car. A crossover is pretty much the definition of a compromise vehicle being that it’s not as good a hauler as an SUV, not as good an offroader as a Jeep or a Land Rover and not as good at handling as a car. But in the end, looking for one vehicle that can handle all of it at least tolerably, the crossover could fit the bill. That said, which crossover would be best out here? My primary interest, of course, is acceleration and handling in the corners both on both pavement and dirt. The Chevy Equinox I drove on my recent trip has miserable handling and the V6 engine it purportedly has under the hood has almost no power at low revs. Dodge Journey? Ford Edge? None of these choices really inspire me as they all lack the handling and acceleration that I would want. The lack of availability of a manual transmission is a deal killer for me as well. The crossover is an interesting concept, but the implementation is somewhat flawed in almost all reasonable examples. There is the option of buying one on the used market and doing a ton of modifications. This could work acceptably. Not sure what kind of aftermarket performance parts there are for most crossovers; it doesn’t seem like something the core demographic of crossover buyers would be looking for. It’s something I might have to look into more seriously someday, but, of course, this still doesn’t answer which crossover would be the best to choose. Unfortunately, as none of them meet my expectations and I would have to choose what I would want to modify, I guess I’d end up leaning back on the traditional method for choosing a car; brand preference. If you have build what you want, you might as well choose by brand as much as anything else. In the end the class of vehicle may be easier to pin down than the specific model. For an environment with a vast mix of road types and being someone who would want to experience them all I can see a crossover/SUV being the choice for me. Too bad no one actually makes one that I like.